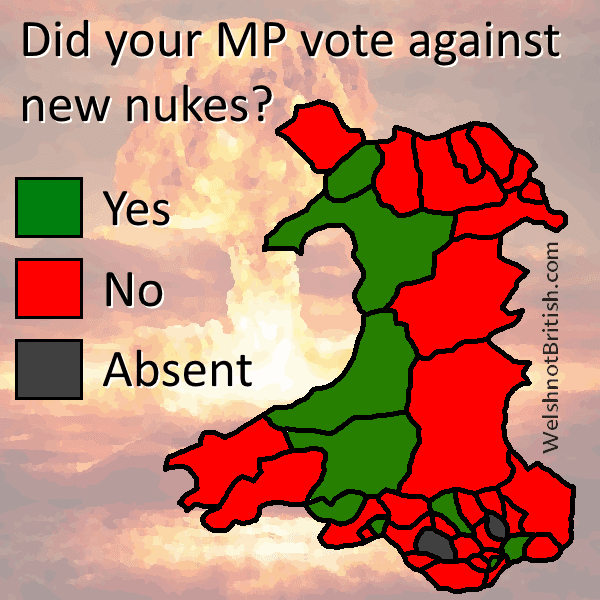 WelshnotBritish.com: Did your MP vote against new nukes? 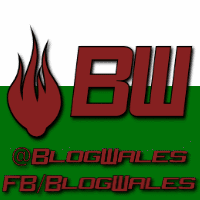 That means that all of the Tories in Wales voted for new nukes. 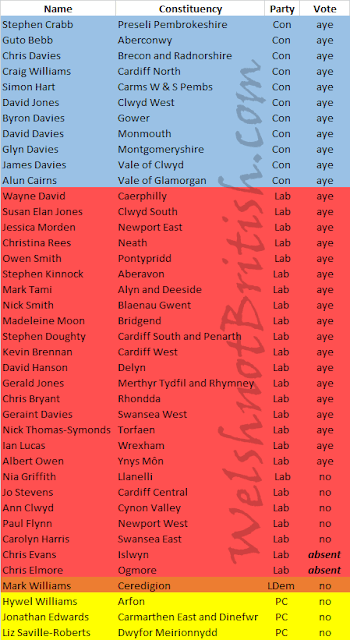 18 of the 25 Labour MPs voted for new nukes, two didn't turn up. 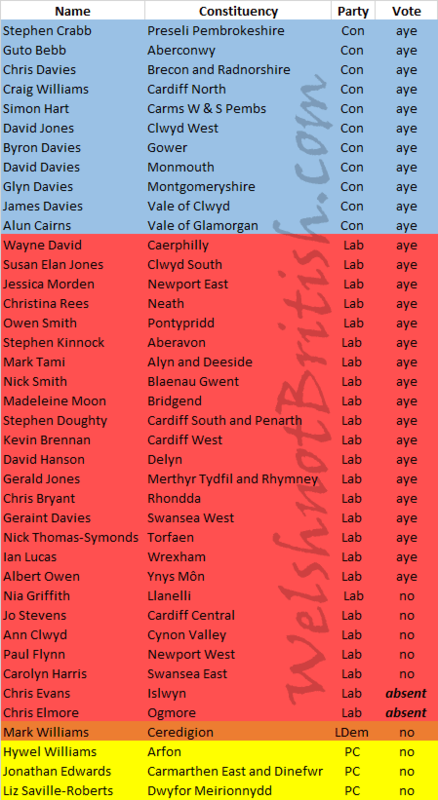 All of the Plaid Cymru voted against new nukes. The sole Lib Dem vote against.